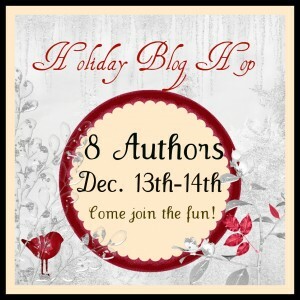 Welcome to the 2011 Eight-Author Blog Hop with Prizes! We’re having some fun during this crazy holiday time talking music, movies, and more. Best of all, we’re giving away over $80.00 worth of prizes! Two days. Tuesday December 13 and Wednesday December 14, 2011. Four blogs each day. All you have to do is show up and comment on each blog to be entered for the grand prize drawing of eight e-books and a $40 Amazon Gift Card! Just in time for the holiday season! SO, I thought it would be fun to list ten cool quotes from Christmas movies. Go ahead and see how many you know — I’ll post the answers later this week. At the end of the list there will be links to the other blogs involved on this hop, as well as a way for you to get more chances to win in the hop as well as a chance to win a SIGNED copy of either FATED or CLAIMED…your choice. (The answers are now posted below the quotes). Contest runs from 2am (Eastern Standard Time) Tuesday December 13th, 2011 to Midnight (Eastern Standard Time) Wednesday December 14th, 2011. Winner announced Monday December 19th, 2011 on all of the blogs in the hop. Winner: You will have ten days (10) to contact us to claim your prize: (lynnrush@cox.net) Failure to contact us within allotted time will forfeit your prize. We can then choose either to re-award the prize to another entrant or not. To earn the twenty-five (25) entries toward the grand prize you must comment on each of the eight blogs participating in the Holiday Blog Hop. Please remember it is illegal to sell, forward, give away or copy electronic books in anyway. Doing so violates copyright. If you are unable to leave comments on the blogs due to lack of internet connectivity/availability, you may enter via email to LynnRush@cox.net. I think #3 is from… Miracle on 34th Street and #2 is from my favorite Christmas movie of all time… White Christmas! HAPPY HOLIDAYS!!! LOL! I need to watch some TV, woman. I know that at least one of them was from the Christmas Story, but the rest—so lost. 🙂 Great post! What a great idea! Not that I knew any of the movies other than Charlie Brown. 😉 And I think I know which one was from The Christmas Story, but I’m lost on the rest of them. Need to watch more holiday movies. I liked your FB page (Michelle Harlan). I’m going with the last one’s from The Peanuts Christmas Special. The first’s from “It’s a Wonderful Life”. I’m lost on the the others. The Polar Express! I knew one. Ask Lynn, I’m so bad at these. 🙂 Great job with the hop! # 9 Charlie Brown Christmas? Thanks for the great giveaway as well as the opp to win a paperback copy of one of your books as well. #10 from Frosty the Snowman? Love the quotes! Thanks for sharing. Great quotes. Liked on Facebook as Natalie Cleary and follow on twitter as nat cleary. Thanks so much. HA! # 8 is THE BEST!! We watch that movie every single year, sometimes more than once! My hubby watched it every year growing up, so now of course, we are doing the same thing we our 2 kids. Chevy Chase is a total crack up! Just watched these four last weekend. liked your FB page too, Rebecca. Noidea on the quotes. When are you going to give the answers. I know a few of them, but not all. I like this on Facebook, and I plan to share it as well. I wish you and your family a very Merry Christmas and a very Happy and Safe New Year!!! I dont know why it didnt show up as #8 but that is where its suppose to be. 5- The Ref, love that you put that in the list. Well I’ll take a stab at these. Fun blog stop Rebecca!!! Hope you have a Merry Christmas!!! Those are the only 2 I recognized off the top of my head. Did I get those right??? I only know # 9 A Charlie Brown Christmas. Great contest! Merry Christmas and Happy Holidays to you and yours!! 1) ANSWER: It’s A Wonderful Life. Okay, some of these were hard! -Seeing isn’t believing. Believing is seeing. Laura: Here’s Neil’s mother’s number. Scott Calvin: 1-800-SPANK-ME? I know that number. I’m so bad, I only knew 4 and 9. Obviously, I have some Christmas movies to be watching. I’m really thinking of watch The Lord of the Rings Trilogy over my 4 day break. Hunky men are all season appropriate. I thought I was a movie buff, but I admit to not knowing most of them. Still, my favorite Christmas movie of all time is Love Actually. And why not look at romance during the holidays? I mean, Colin Firth in love? OMG. Thank you for the great giveaway and Happy Holidays!!! Great post! I love the quotes! I was able to guess 4 movies. 😉 Thanks for sharing with us! Happy holidays! I know #7 is The Polar Express, because my little brother is OBSESSED with that movie! #6– How the Grinch Stole Christmas, which I LOVE.